Before adopting any applications for key business functions, executives should perform a thorough total cost of ownership (TCO) analysis. Unfortunately, apples-to-apples comparisons can prove somewhat challenging. 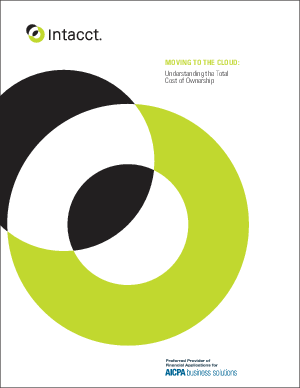 While it may be tempting to compare the initial license price of on-premises software to the annual subscription fees for cloud computing, this methodology fails to account for the ongoing internal operating costs for the on-premises software. Beyond direct software and hardware purchase and implementation costs, it’s important for organizations to consider additional business drivers, including, infrastructure and resource overhead, maintenance costs, ongoing operations, flexibility and risk.